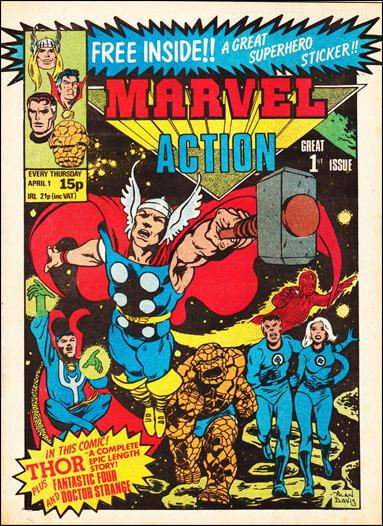 Comments: A Marvel UK title reprinting Thor, Fantastic Four and Doctor Strange, Marvel Action was launched on 1st April 1981. The first issue came with a free gift of a Fantastic Four sticker, the second with a Thor sticker and the third with a Doctor Strange sticker. After the 15th issue, cover dated 8th July 1981, it was merged into Captain America.